And the night I drove off campus for the last time, I told God I wanted to be brave. I wanted to be free. I wanted to be confident, for once. I wanted to do big things. I wanted to touch the lives of others. Essentially I wanted to be the person I had the potential to be. But then summer came and I stared at the walls, watched Netflix, and thought a lot. I fell into depression. I gained more weight. I let my hair grow long and shaggy and, to be honest, gross. I let myself be lost, wandering aimlessly. There were days I couldn’t look myself in the face because I was too disgusted at what had become of me. There were days where the old demons groaned louder than the numbing silence I imposed upon myself. I showed up where I had to and hid where I could. I watched as my Facebook friends lived and broke down. I inhaled Katy Perry’s By the Grace of God and Taylor Swift’s All Too Well. I applied to a couple jobs and just waited. The week they called, I was determined to go to Wyoming for six weeks and escape reality. Somehow Wyoming would fix things–it would fix me. I just needed to breathe. But Chick-Fil-A called first and I knew it was God. I cursed Him at first, asking why He would allow me to even find Wyoming if it wasn’t right, if it wasn’t good. But I weighed the pros and cons and decided to let it shape me, let it lead me into a steady life. I decided to work on my book and work at Chick-Fil-A. But it turned out to be one of the hardest things I’ve ever done. The pants were too small and the shoes were too tight. But I didn’t let it break me. Where I’d determined to be confident and sociable, I was awkward and reclusive. But I didn’t let it break me. But I didn’t let it happen. I showed up again. I chopped faster, walked faster, acted professional, and held my head high when everything felt like it was crashing in. And Chick-Fil-A has been the place where I’ve had to rebuild, where I’ve had to fully hold my own and keep moving forward. But I broke on a quiet, rainy Monday when a girl gave me an odd look while I was staring off into space, lost in my mind. I broke on a day where I was trying so hard to keep up, but one word from a stranger tore me down. And I broke today when the parfaits weren’t full enough and the salads were too low and a machine part was lost under my supervision. I broke over lunch and chopping meat and chopping lettuce leaves. I broke over being unknown. I broke over feeling lonely. Let it go, love. Whatever you’re striving for is worth it, but you’ve gotta let go of that perfectionism. At the end of the day, that’s what breaks us. Our quest to be undefeated, our quest to be at the top. Let it go, love. Let God use your imperfections to mold something even better. Get up. Get up, get up, get up. Sometimes you need to be broken. I’m saying this because it’s true: I NEEDED TO BE BROKEN. I’m never going to have it all right, I’m never going to be perfect at what I do, and people won’t always understand why I’m doing what I’m doing. . .and you know what? That’s okay. Sometimes brokenness finds us in little Chick-Fil-A’s around the corner from our childhood home and that’s okay too. And lastly? Just because something broke you down doesn’t mean it has you. Just because you lost the battle doesn’t mean you’ll lose the war. And nothing that occurs in daily life ever, ever, ever, freaking E-V-V-V-E-R makes you less of a person. 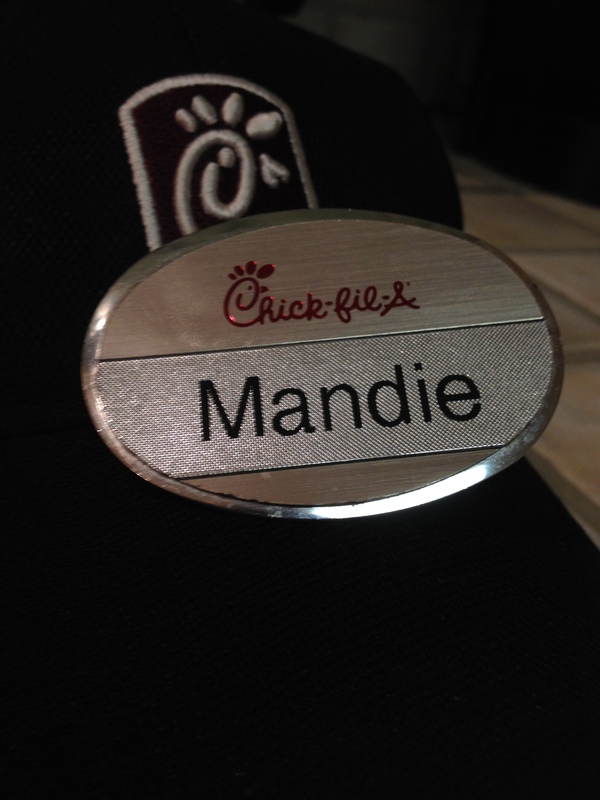 Mandie, from one post-grad & INFP to another, can I just say you have my respect girl. I will be praying for you and just know I believe you can do everything you want to do. Just keep moving forward and keep relying on God for strength! Thank you so much, INFP buddy! Your comment meant so much–you know, when I read it a billion years ago. Thank you for having my back–we INFP’s need to stick together! Miss you! This was such a lovely read Mandie! I miss seeing your sweet self around campus and I can’t wait to see all the huge things you WILL acheive before you know it! *one billion years later* I’m so sorry about taking so long to reply but thank you so much for reading! I miss seeing you around campus too and I’m so excited to see what you do after graduation!